That book looks like it would be an excellent read! We get ‘Animal Planet’ and ‘Love Nature’ on cable and they cover many areas about the intelligence of animals that are simply astounding. A few of them I was already aware of, but most came as a complete surprise to me. I will probably get that book since my wife and I find the animal world to be very interesting. Anyone who has ever had a pet knows there's a hell of a lot more going on in their heads than common "wisdom" permits. laklak wrote: Anyone who has ever had a pet knows there's a hell of a lot more going on in their heads than common "wisdom" permits. Try a pair of border collies sometime. If one doesn't know how to solve a problem, the other one probably does. And then, the first one learns how. If these bastards ever organize, I'm screwed. Some of the stories are simply jaw dropping. The_Metatron wrote: If one doesn't know how to solve a problem, the other one probably does. And then, the first one learns how. If these bastards ever organize, I'm screwed. Just thank Dog they don't have thumbs. Zebedee the dog became orientation officer to Charlie the dog when he arrived here. We observed Zebedee taking Charlie on a tour of the house and grounds, showing him how to dig and where, where the birds live, where to wait to hear other dogs walking past, how to jump up at the living room window using the sill to rest on, how to open the living room door. He even taught him to bark. Greyhounds don't normally do this, but we now have a massive black greyhound with the voice of a small carrot. Zebedee knows about 10 different phrases which all mean he's being asked if he wants to go outside. He can apparently tell the time. He's not managing this by light conditions - he knows when it's 7.00, 4.30 and 9.30 whatever time of year it happens to be. He has become known as Nurse Zebedee, due to his ability to know who is feeling unwell or low, and administering special attention to them. Charlie, although not as bright, is no slouch. He knows how to play to Zeb's weaknesses in order to get what he wants. If Zeb is reclining on a bed which Charlie wishes to use, he begins pretending he wants to play. Zebedee's whole raison d'être is to play. As soon as he gets up to join in, Charlie steals his place. Just need to get your husband up to that standard and you'll be home and dry. I'm not sure how we in the West came to believe there is nothing going on in the heads of animals, some other cultures, and perhaps our earlier pagan cultures, have long viewed animals as sentient. Descartes and others believed that animals had no souls and were meaty automatons*. The justification for this view was in the Bible, that Jesus came to save the souls of men, no mention of animals so therefore no souls. 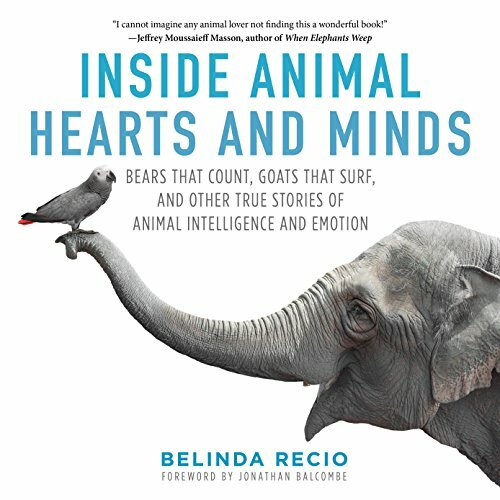 He thought that what looked like pain in animals was just a reaction to stimuli with no real, metaphysical pain exhibited. Going off this view scientists had no problem vivisecting critters. It would be too easy to blame Christianity for the cruel treatment of animals over the centuries, I think the justifications come after the fact. It probably happened after animals became a commodity and is no coincidence some of the same arguments of soul-less creatures were used against black slaves. *Descartes was right that animals were soul-less, meaty automatons. The whole mess of experiment cruelty could've been avoided if he'd realised what Darwin did. That we, too, are animals. z8000783 wrote: Just need to get your husband up to that standard and you'll be home and dry. Wow! Birds are so clever they can conduct research on other birds.